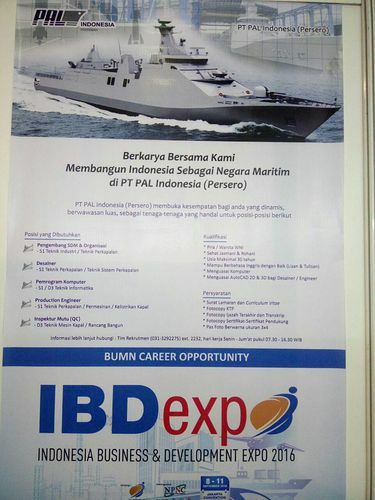 PT PAL Indonesia (Persero) - PAL is a reputable state-owned shipbuilding and engineering services company in Indonesia which was founded in 1980. 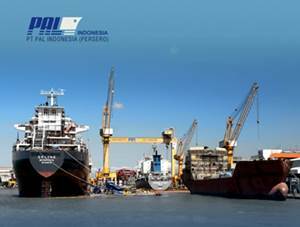 Based in Surabaya East Java, PAL has its business activities focused in four sectors: merchant shipbuilding, naval shipbuilding, general engineering and repair and maintenance services. PT PAL Indonesia (Persero) is a non listed state-owned company and is fully-owned by the Government of Indonesia. PAL now supported by 1 Jakarta representative office and 1 subsidiary, namely PT PAL Indonesia Marine Service (99.8% direct ownership). As of December 2014, PT PAL Indonesia (Persero) supported by 1,267 dedicated employees. In term of financial performance, PT PAL Indonesia (Persero) showed improved performance in 2014 as compared to 2013. PT PAL Indonesia (Persero) reported total profit of Rp 13.9 billion in 2014 as comared with loss of Rp 382.2 billion in 2013. PAL’s total revenue in 2014 amounted to Rp 561.1 billion decreased by 32.94% compared to the year 2013 amounted to Rp 836.8 billion. This figures was quoted by JobsCDC.com from the Indonesian State-Owned Enterprises Profile 2015 issued by the Ministry of State Enterprises (SOEs). Inspektur Mutu (D3 Ship Engineering / Design). Male / Female, Indonesian citizen (WNI). Fluent in English (spoken and written). Expertise with AutoCAD 2D & 3D for designer and engineer positions. JobsCDC.com now available on android device. Download now on Google Play here. Please be aware of recruitment fraud. The entire stage of this selection process is free of charge. PT PAL Indonesia (Persero) - Recruitment D3, S1 Professional Staff PAL September 2016 will never ask for fees or upfront payments for any purposes during the recruitment process such as transportation and accommodation.